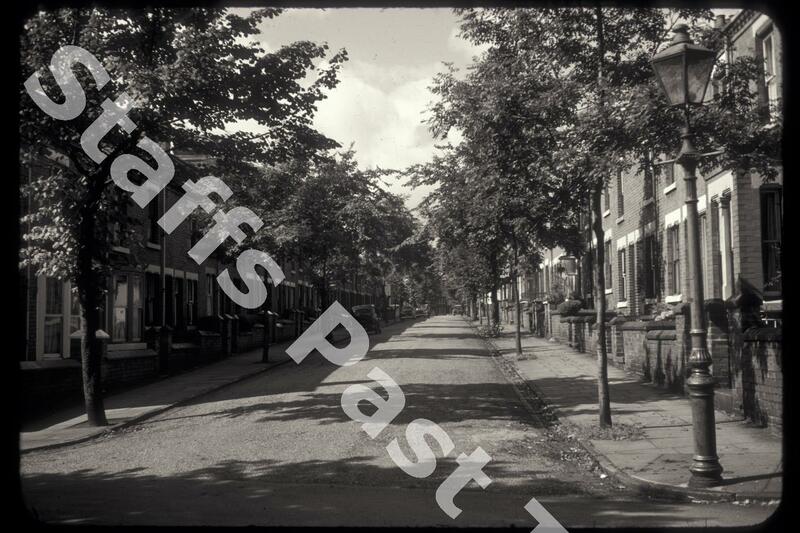 Description:This is a view west along Neville Street from the corner of Kensington Road in the Oakhill area of the city. The terraced houses, all with small front yards and gates, were built between 1900 and 1924. 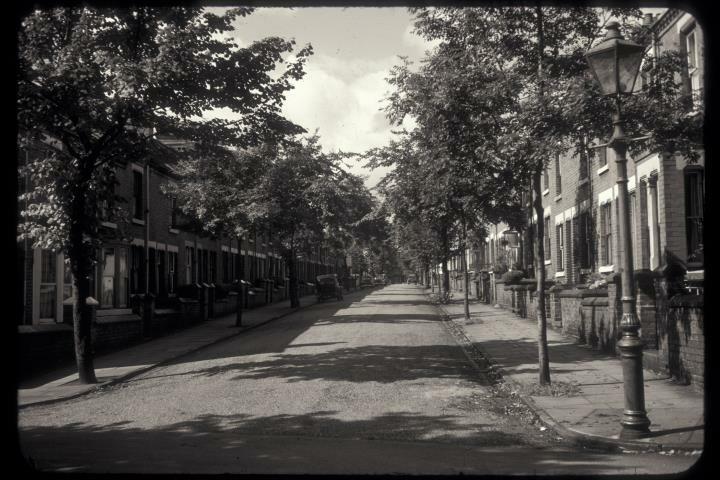 In 1964 the street was more tree lined than today and the original wrought iron gas street lamps have been replaced. Right at the bottom of the street are the houses on Grosvenor Avenue.